Training with GPTQ via the Rural Pathway provides the unique experience of living and working in country towns like Goondiwindi and small communities like Blackbutt. Rural Queensland offers an exciting opportunity to learn general practice. The Rural Pathway affects where you can train, but it equips you with the skills and education to practise anywhere in Australia once you graduate. In fact, many doctors claim working in rural practice will make you a better all-round GP. And the good news is, it’s often easier to secure a training place on the Rural Pathway than the general one. I really enjoy rural people. I enjoy the frankness, the openness, the genuineness, the lack of pretension. And mostly, they’re very grateful for everything you’re doing. What is the AGPT Rural Pathway? The Rural Pathway is one of two ways that you can undertake the GP training program. The other is the General Pathway. The Rural Pathway provides training and experience in general practice medicine across regional, rural and remote locations. Such locations often have a high demand for GPs and the Australian Government actively encourages registrars to pursue this pathway. There are good incentives for rural GPs. The Rural Pathway enables you to complete a GP fellowship through either or both GP colleges. This is the qualification required to practise independently as a GP in Australia. You have the option of completing a three- or four-year fellowship, with the latter providing more advanced rural training. See training options for an overview of AGPT’s program. Many of our metro-based educators also have experience in rural medicine. We also have an inspired team of GP supervisors with practices in regional Queensland. They are exceptional doctors and keen to welcome registrars into their practices. Registrars completing ACRRM and RACGP + FARGP should research RA2-5 Practices on MyPLACEMENT to ensure they meet Fellowship requirements e.g. some RA 2-5 training posts are not accredited for ACRRM or FARGP. At GPTQ, most of our rural placements are in Darling Downs and West Moreton. See our training region for more details, including a map that shows the training boundaries. Darling Downs and West Moreton is a district in southeast Queensland. This region is one of the Australian Government’s primary healthcare networks and has been identified as a priority area for improving the population’s health. You have the opportunity to contribute to improving the health of the local community. The rates of cancer and diabetes are higher than average in Darling Downs and West Moreton. Risk factors are also high, including two-thirds of people having an unhealthy weight and almost one in five people smoking daily. The Indigenous population makes up a significant proportion of the community. There are more than half a million Australians living in this region. Training practice locations include Allora, Blackbutt, Chinchilla, Clifton, Crows Nest, Dalby, Goondiwindi, Inglewood, Kingaroy, Millmerran, Morgan, Oakey, Pittsworth, Stanthorpe, Warwick and Wondai. You can learn more about our towns – including the population size, schools, parks and local activities – by browsing our training region. Rural medicine provides a diversity of patient presentations, teaches you self-sufficiency and builds your professional network. Your training period offers the opportunity to experience country life, from the fun and support of a small community to the joys of cheap rent. Registrars are offered financial support for rural and remote placements. You still have access to some of our most popular locations, such as Bribie Island and Stradbroke Island. During your training on the Rural Pathway, you will also be able to obtain extended skills and advanced specialist training in areas of medicine that are of particular interest to you. Find out more about specialised training. We also support and encourage registrars to pursue their academic interests with an academic post. What is it like to work in rural medicine? Hear our registrars and supervisors talk about working in rural and remote locations. Dr Fiona Mckinnon shares her experience of training on the rural pathway with GPTQ. Explainer: What’s the difference between the Rural Pathway and the General Pathway? The term ‘Rural Generalist’ refers to doctors who are on a specific state government training program. 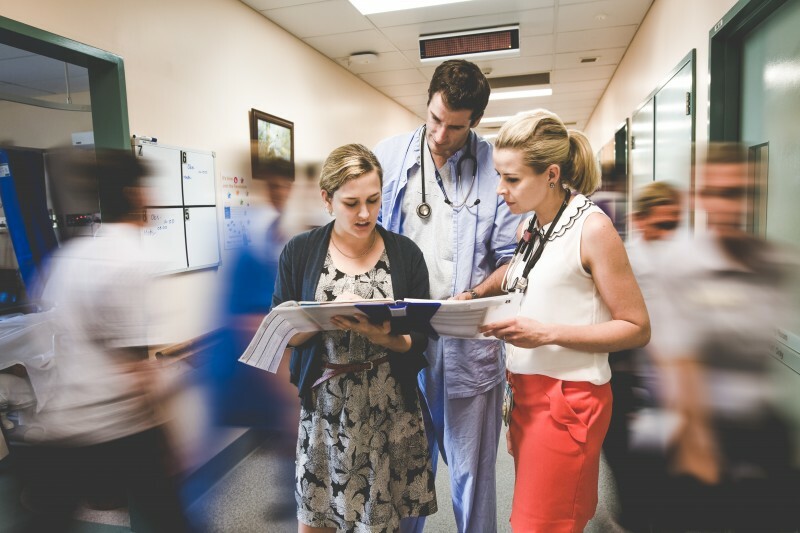 The Queensland Health Rural Generalist program starts earlier than registrar training, with medical students in their final year of university being eligible to apply. In Queensland, the Rural Generalist Pathway – not to be confused with the ‘Rural Pathway‘ – supports doctors interested in working in rural medicine and training towards an advanced skill to deliver medical services to rural and remote communities. Doctors on the Queensland Health Rural Generalist Pathway are required to train towards GP fellowship of ACRRM and/or RACGP plus FARGP by enrolling in the AGPT program. GPTQ welcomes and supports Rural Generalist trainees into our Rural Pathway cohort. Medical students interested in this program should visit Queensland Health Rural Generalist for further information. Visit our training region to browse training practices and towns. The rural classification is included in our location information. Find out about eligibility for doctors on 457 temporary visas. Should I work in a rural or remote community? There are also financial incentives for GPs working in rural and remote areas. Find out more about what it’s like to live and work rurally. We asked rural doctors some of the questions that frequently come up. Here is what they have to say about rural practice. I am a Queensland Health Rural Generalist doctor. Do I need to select the Rural Pathway when applying for the AGPT program? Yes. Queensland Health Rural Generalist doctors are committed to training in rural areas and therefore should apply for the Rural Pathway only. Do I have to do a rural fellowship if I take the Rural Pathway? No. Your choice of AGPT training pathway is not related to your choice of fellowship – whether with the Australian College of Rural and Remote Medicine (ACRRM) or The Royal Australian College of General Practitioners (RACGP). You can complete either a three (FRACGP) or four-year (FACRRM or FRACGP+FARGP) fellowship via the Rural Pathway. The four-year fellowships offer additional training in rural medicine. You only need to complete the appropriate training and assessment for the fellowship you wish to attain. Find out more about GP fellowships. Can I change from the Rural Pathway to the General Pathway? Transfers between pathways are possible, but only in certain circumstances. you have an identified career and/or education and training requirement (excluding your extended skills, advanced specialised training and/or advanced rural skills terms) and all options to undertake training in an area in need of doctors in your training region have been exhausted. you or an immediate family member have extenuating and unforeseen changes to your personal circumstances. you or an immediate family member have an unforeseen medical condition that cannot be adequately or safely managed in the location where you are based. Any request for transfer between pathways must be supported by your regional training organisation, supported by the appropriate documentation, and pursued in accordance with the AGPT transfer policy. How long do I have to commit to a rural area if I take the Rural Pathway? If you choose to follow the Rural Pathway during your training to become a GP, you are required to commit to remaining in a rural area for the duration of the training program. However, while the pathway affects where you can train, it doesn’t impact where you can work once you have completed your training. Your GP training will enable you to practice anywhere in Australia once you have completed your fellowship. Find out more about our training regions. MMM1: All areas categorised as ASGC-RA1. MMM2: Areas categorised ASGC-RA 2 and ASGC-RA 3 that are in, or within 20km road distance, of a town with population >50,000. MMM3: Areas categorised ASGC-RA 2 and ASGC-RA 3 that are not in MM 2 and are in, or within 15km road distance, of a town with a population between 15,000 and 50,000. MMM4: Areas categorised ASGC-RA 2 and ASGC-RA 3 that are not in MM 2 or MM 3, and are in, or within 10km road distance, of a town with a population between 5,000 and 15,000. MMM5: All other areas in ASGC-RA 2 and 3. MMM6: All areas categorised ASGC-RA 4 that are not on a populated island that is separated from the mainland in the ABS geography and is more than 5km offshore. MMM7: All other areas – that being ASGC-RA 5 and areas on a populated island that is separated from the mainland in the ABS geography and is more than 5km offshore. For the purpose of GP Training, existing GPTQ GP registrars up until the 2018 cohort are permitted to use the MMM or ASGC classification for determining rural placements. However, the 2019 cohort and onwards would only use the MMM model for the same. Find out more about the MMM classification model. You can also find out a region’s rural / remoteness classification using the doctorconnect website.